Dr. Rene Dubos in Rachel Carson’s Silent Spring (189). Rachel Carson, in Silent Spring, offers reasons as to why society during the 1960s did not react strongly to the deadly effects caused by the use of chemicals. She quotes the physician (above), in order to make the point that as a society, we do not take seriously the threats which show themselves in a slower manner. Things like cholera, the plague and others which show themselves and kill much more quickly are the threats that get the most attention and backlash in society– people are outraged if these killers are not put under control as quickly as possible. Chemical spraying, on the other hand, is much more discrete in appearance and may take generations in order for its effects to be seen. People just aren’t outraged at something that takes months to years to show its effects. If this situation which Carson was writing about 50+ years ago were to be compared to something in our society today, it would be the threat of climate change. Climate change, like the use of chemical pesticides and insecticides, does not show itself or its effects in one, uniform, and immediate fashion. The planet is warming and sea levels are rising in a matter of a degree or two/a centimeter or two over a course of years. For this reason, many view climate change as a “vague threat,” not a serious and life threatening one. The pace at which natural events happen, therefore, seems to be one of the reasons humans and the natural world have inherent difficulties “getting along.” Nature and humans function at a different pace altogether. Were nature to work at the “heedless pace of man” rather than the slow, “deliberate” pace of nature as Carson said, perhaps then we would be more aware of the impacts we are having on our natural world. Were nature and humans to work on the same time schedule, it would be easier for humans to work alongside nature, rather than attempting to control it. However, our climate has been changing—species are going extinct at a rate 1,000 times that of the natural extinction rate, people are being forced to move from their homes as they literally become engulfed by the ocean, and weather events are becoming more extreme than they’ve ever been before. Nature is a perfected system, and while “man, too, is a part of this balance” (Carson 246), as Carson has stated, it is more often than not the activities of man that cause the problems we are seeing in nature today. Rather than controlling nature, therefore, humans would be wiser to notice the many ways in which we could learn from nature, and use it to our advantage. “Controlling nature,” after all, “is a phrase conceived in ignorance” Carson said. And this is true—why, if we are “above” nature as a species, would nature respond in the ways it does? With hurricanes and polluted air killing hundreds of people? With islands, where people have lived for hundreds of years, being engulfed by the sea? It seems that if man truly were able and supposed to “control nature,” nature wouldn’t be destroying us in return. Many authors have offered us solutions to the ongoing stuggle between humans as a species and the natural world. 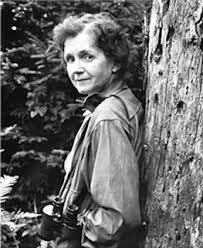 Rachel Carson, as well as Masanobu Fukuoka in The One-Straw Revolution: An Introduction to Natural Farming both speak of “getting along with nature” in terms of growing plants in a way that involves the least amount of human interference– no plowing, no fertilizer, no killing of other plants, animals, or insects. Carson mentions examples of using the functioning and traits of other plants in order to protect the plant of interest from bugs and other pests. Fukuoka used a similar approach in growing crops– he takes advantage of the natural cylces of the environment while using the crops he grows himself to his advantage. He learned from trial and error how to naturally create a rich, fertile soil, how to work with the weather when laying seeds, and how to overall successfully grow a variety of crops. In our fast-paced world, however, it seems impossible to imagine transforming our entire agricultural system in order to farm more sustainably. It is possible, however, for this type of farming to occur on a small level–within neighborhoods, towns, maybe even counties and states. If we wish to respect our Earth and make an effort toward a healthier environment, we can take part in this “natural” farming ourselves. We can plant gardens in our backyards or we can simply support local “natural” farmers. We can spread the word about the importance of natural farming and its many benefits. And we can speak out against practices that are detrimental to our environment. Afterall, that’s what Rachel Carson and the many authors who followed in her footsteps did, and change, whether it was large scale or small followed. There are so many amazing things that we could learn from nature, were we to appreciate and respect it in the way it deserves. Already, we have found cures to diseases through nature and based technology off of systems observed in nature (check out this article written about biomimicry). The secrets nature holds are many, and although it may be different from how we live today, we must begin to respect and protect nature. Silent Spring: a Persuasive Tale of Truth. Rachel Carson’s Silent Spring challenges those who read it with questions and answers regarding the way humans have exploited the natural world and the methods in which they do so. This is done mostly by identifying and thoroughly examining the use of toxic chemicals in our environment and their effect throughout the course of time. Carson uses both scientific data as well as a persuasive argument against their use. Carson’s use of beautiful, poetic language allows the reader to imagine vividly what Carson describes. “In autumn, oak and maple and birch set up a blaze of color that flamed and flickered across a backdrop of pines. The foxes barked in the hills and deer silently crossed the fields, half hidden in the mists of the fall mornings” (Carson 1). This quote reminds me of what one might imagine as the stereotypical American town. Carson’s description brings picturesque images I can imagine when I think of my hometown. The destruction of environments like this has shown a continuous cause and effect cycle. Carson’s book provides evidence that man is directly correlated with the destruction and misuse of our environment. As a class we have addressed the idea that Carson brings to mind about pesticide use, she quotes Jean Rostand, “The obligation to endure gives us the right to know” (Carson 13). This quote truly challenges the ethics of man and the role ethics play in our capitalist world, how the decisions of just a few people can impact so many others. Carson attacks the administrations that allowed the use of toxins on unsuspecting people: We have subjected enormous numbers of people to contact with these poisons, without their consent and often without their knowledge. If the Bill of Rights contains no guarantee that a citizen shall be secure against lethal poisons distributed either by private individuals or by public officials, it is surely only because our forefathers, despite their considerable wisdom and foresight, could conceive of no such notion (12-13). This seems to be a common point made when addressing modern issues with dated policies. Although many of our country’s most prolific documents stand only to protect citizens, there have been instances where interpretations disregard those it suppose to represent. It further continues the repeating theme of cause and effect. Carson uses information from many different sources and colleagues in the scientific field. The use of primary sources gives credibility that hadn’t been seen in the environmentalism field before. The personal connections help show that there was an underground movement that had long been heating up, Rachel Carson helped bring it to full boil. So where is the support for this? No one person is completely spared of the exposure on our Earth, as we all share it. Although some may face more difficulty than others, it is a collective problem that everyone alive has inherited. We all should share the same interest in finding out more about the consequences of our actions, and how we can take more responsible measures when using our Earth. The impact of this book still has relevance today, especially within this recent year. Imagine the publication of a text with similar themes and impact as Silent Spring, which condemns the actions of certain groups with dignity and respect, without the unrealistic bias that extreme writing can create. This sort of writing is what truly gives the reader a claim, argument, evidence and concludes with reason. Until we can see the collective problem at hand, progress will remain still as ever. Rachel Carson wrote her 1962 book Silent Spring for a very serious purpose—to try and address a very serious problem. She wanted to inform, educate and motivate her readership to simply open their eyes as wide as they possibly can and experience life at different levels. She wanted us to focus and be attentive to the amazing things that are happening around us every day. When Carson went for a walk, she would see the birds, maybe identifying a few different species. She would hear the crickets and recognize their song and know its purpose. In her book, Carson took different aspects of the natural world, different situations and environments, and put them under a magnifying glass. For example, Aldrin from large single-crop fields running off into a local pond. Over-spraying of DDT to control a species of beetle that isn’t even in high numbers. These things are specific examples of a larger problem. Carson fits these examples together like pieces of an intricate puzzle. She does this in an effective way that diagrams how large of a scale we as humans are reaching, and how much damage we are inflicting. The reason Carson uses these examples is because the issue that she is trying to address is of too massive a scope to tackle the whole mess head-on. Instead, Carson breaks the issue apart. Town by town, field by field, contaminated watershed by contaminated watershed. Silent Spring changed the way many people view nature. She is making a strong argument in her book. What is that argument? Is the argument advocating for rights of animals or humans, or is it simply trying to show how important it is to be aware? Being conscious of other humans and animals even and how our behaviors influence their lives. Even if an animal species or group of people are thousands of miles away across a vast ocean, they are still existing with us on earth. We must stop thinking as humans and nature divided from one another. Carson says in her book that “In nature, nothing exists alone.” This also surpasses just living things or things that we can see with our own two eyes. There are a thousand times more bacteria in a fistful of soil than there are humans on earth, and what we use to benefit the growth of our crops is simultaneously destroying that soil culture. The horrible irony of this fact is that those very same bacteria are the things that break down plant matter and keep the earth healthy. We as humans, are also consumers and producers and money makers and comfort-lovers. It is easier and cheaper to buy corn from a supermarket than to buy it locally. It is easier and cheaper to till large plots of land and plant a hundred thousand head of corn in each plot. However, you might find that the local corn pops right off of the cob and is sweeter and juicier than that from a supermarket. Whether the corn tastes better or not, it is the process of how that corn is grown that should be hovering in the back of your mind whenever you pass the produce aisle. These are small and specific things. They seem so insignificant when put under the scope of our everyday lives. People have their priorities and recycling may not be one of them. Still if someone knows why it is good to recycle and why it is detrimental not to, then by ignoring those facts they are just living with blinders on. Comfortable in our domiciles, often removed from the slight scent of the trees or the touch of a gentle breeze, we begin to forget what else there is. And there is so much more: to see, to experience, to embrace. That is why experience is so important, especially when considering experience in nature. It is so easy to walk out your front door and down a windy trail and get lost in nature. Being aware is very important. Hearing the sounds of a chickadee singing its song or a crow cackling or seeing an ant carrying a piece of a leaf that is three times its size: these things all give us insight into the world around us. Rachel Carson wants us to be present and listen and feel how our decisions influence everything. If we as humans can feel and embrace our innate connection to the world we live in, then maybe there is hope. Below are a few preliminary notes on each chapter of Silent Spring. These are neither systematic nor are they comprehensive. But I want you to see how a reader (in this case, me) records elements and arguments and connections in a book: including claims of fact, policy claims, and claims of value. Think about how her book, carefully and artfully written, introduces readers to a different way of looking at and thinking about the world. Pay attention. For what will happen is that the connections here will (if you are paying attention) proliferate the deeper we go into the course. “There is still very limited awareness of the nature of the threat. This is an era of specialists, each of whom sees his own problem and is unaware of or intolerant of the larger frame into which it fits. It is also an era dominated by industry, in which the right to make a dollar at whatever cost is seldom challenged. When the public protests, confronted with some obvious evidence of damaging results of pesticide applications, it is fed little tranquilizing pills of half truth. We urgently need an end to these false assurances, to the sugar coating of unpalatable facts. It is the public that is being asked to assume the risks that the insect controllers calculate. The public must decide whether it wishes to continue on the present road, and it can do so only when in full possession of the facts. In the words of Jean Rostand, “The obligation to endure gives us the right to know” (13). “For the first time in the history of the world, every human being is now subjected to contact with dangerous chemicals, from the moment of conception until death. In the less than two decades of their use, the synthetic pesticides have been so thoroughly distributed throughout the animate and inanimate world that they occur virtually everywhere. They have been recovered from most of the major river systems and even from streams of groundwater flowing unseen through the earth. Residues of these chemicals linger in soil to which they may have been applied a dozen years before. They have entered and lodged in the bodies of fish, birds, reptiles, and domestic and wild animals so universally that scientists carrying on animal experiments find it almost impossible to locate subjects free from such contamination. They have been found in fish in remote mountain lakes, in earthworms burrowing in soil, in the eggs of birds-and in man himself. For these chemicals are now stored in the bodies of the vast majority of human beings, regardless. of age. They occur in the mother’s milk, and probably in the tissues of the unborn child” (15). “Water must also be thought of in terms of the chains of life it supports — from the small-as-dust green cells of the drifting plant plankton, through the minute water fleas to the fishes that strain plankton from the water and are in turn eaten by other fishes or by birds, mink, raccoons — in an endless cyclic transfer of materials from life to life. We know that the necessary minerals in the water are so passed from link to link of the food chains. Can we suppose that poisons we introduce into water will not also enter into these cycles of nature?” (46). “There are few studies more fascinating, and at the same time more neglected, than those of the teeming populations that exist in the dark realms of the soil. We know too little of the threads that bind the soil organisms to teach other and to their world, and to the world above” (54). “Water, soil, and the earth’s green mantle of plants make up the world that supports the animal life of the earth. Although modern man seldom remembers the fact, he could not exist without the plants that harness the sun’s energy and manufacture the basic foodstuffs he depends upon for life. Our attitude toward plants is a singularly narrow one. If we see any immediate utility in a plant we foster it. If for any reason we find its presence undesirable or merely a matter of indifference, we may condemn it to destruction forthwith. Besides the various plants that are poisonous to man or his livestock, or crowd out food plants, many are marked for destruction merely because, according to our narrow view, they happen to be in the wrong place at the wrong time. Many others are destroyed merely because they happen to be associates of the unwanted plants. The earth’s vegetation is part of a web of life in which there are intimate and essential relations between plants and the earth, between plants and other plants, between plants and animals. Sometimes we have no choice but to disturb these relationships, but we should do so thoughtfully, with full awareness that what we do may have consequences remote in time and place. But no such humility marks the booming “weed killer” business of the present day, in which soaring sales and expanding uses mark the production of plant-killing chemicals” (63-64). “The citizen who wishes to make a fair judgment of the question of wildlife loss is today confronted with a dilemma. On the one hand conservationists and many wildlife biologists assert that the losses have been severe and in some cases even catastrophic. On the other hand the control agencies tend to deny flatly and categorically that such losses have occurred, or that they are of any importance if they have. Which view are we to accept? The credibility of the witness is of first importance. The professional wildlife biologist on the scene is certainly best qualified to discover and interpret wildlife loss. The entomologist, whose specialty is insects, is not so qualified by training, and is not psychologically disposed to look for undesirable side effects of his control program. Yet it is the control men in state and federal governments — and of course the chemical manufacturers — who steadfastly deny the facts reported by the biologists and declare they see little evidence of harm to wildlife. Like the priest and the Levite in the biblical story, they choose to pass by on the other side and to see nothing. Even if we charitably explain their denials as due to the shortsightedness of the specialist and the man with an interest this does not mean we must accept them as qualified witnesses. The best way to form our own judgment is to look at some of the major control programs and learn, from observers familiar with the ways of wildlife, and unbiased in favor of chemicals, just what has happened in the wake of a rain of poison falling from the skies into the world of wildlife. To the bird watcher, the suburbanite who derives joy from birds in his garden, the hunter, the fisherman or the explorer of wild regions, anything that destroys the wildlife of an area for even a single year has deprived him of pleasure to which he has a legitimate right. This is a valid point of view. Even if, as has sometimes happened, some of the birds and mammals and fishes are able to re-establish themselves after a single spraying, a great and real harm has been done” (85-86). “Incidents like the eastern Illinois spraying raise a question that is not only scientific but moral. The question is whether any civilization can wage relentless war on life without destroying itself, and without losing the right to be called civilized” (99). “In each of these situations, one turns away to ponder the question: Who has made the decision that sets in motion these chains of poisonings, this ever-widening wave of’ death that spreads out, like ripples when a pebble is dropped into a still pond? Who has placed in one pan of the scales the leaves that might have been eaten by the beetles and in the other the pitiful heaps of many-hued feathers, the lifeless remains of the birds that fell before the unselective bludgeon of insecticidal poisons? Who has decided — who has the right to decide — for the countless legions of people who were not consulted that the supreme value is a world without insects, even though it be also a sterile world ungraced by the curving wing of a bird in flight? The decision is that of the authoritarian temporarily entrusted with power; he has made it during a moment of inattention by millions to whom beauty and the ordered world of nature still have a meaning that is deep and imperative” (127). “There are ways to solve this problem — to preserve the forests and to save the fishes, too. To assume that we must resign ourselves to turning our waterways into rivers of death is to follow the counsel of despair and defeatism. We must make wider use of alternative methods that are now known, and we must devote our ingenuity and resources to developing others. There are cases on record where natural parasitism has kept the budworm under control more effectively than spraying. Such natural control needs to be utilized to the fullest extent. There are possibilities of using less toxic sprays or, better still, of introducing microorganisms that will cause disease among the budworms without affecting the whole web of forest life. We shall see later what some of these alternative methods are and what they promise. Meanwhile, it is important to realize that chemical spraying of forest insects is neither the only way nor the best way” (138). “The fisheries of fresh and salt water are a resource of great importance, involving the interests and the welfare of a very large number of people. That they are now seriously threatened by the chemicals entering our waters can no longer be doubted. If we would divert to constructive research even a small fraction of the money spent each year on the development of ever more toxic sprays, we could find ways to use less dangerous materials and to keep poisons out of our waterways. When will the public become sufficiently aware of the facts to demand such action?” (152). “For each of us, as for the robin in Michigan or the salmon in the Miramichi, this is a problem of ecology, of interrelationships, of interdependence. We poison the caddis flies in a stream and the salmon runs dwindle and die. We poison the gnats in a lake and the poison travels from link to link of the food chain and soon the birds of the lake margins become its victims. We spray our elms and the following springs are silent of robin song, not because we sprayed the robins directly but because the poison traveled, step by step, through the now familiar elm leaf-earthworm- robin cycle. These are matters of record, observable, part of the visible world around us. They reflect the web of life — or death — that scientists know as ecology. But there is also an ecology of the world within our bodies. In this unseen world minute causes produce mighty effects; the effect, moreover, is often seemingly unrelated to the cause, appearing in a part of the body remote from the area where the original injury was sustained. “A change at one point, in one molecule even, may reverberate throughout the entire system to initiate changes in seemingly unrelated organs and tissues,” says a recent summary of the present status of medical research. When one is concerned with the mysterious and wonderful functioning of the human body, cause and effect are seldom simple and easily demonstrated relationships. They may be widely separated both in space and time. To discover the agent of disease and death depends on a patient piecing together of many seemingly distinct and unrelated facts developed through a vast amount of research in widely separated fields” (189). “In some quarters nowadays it is fashionable to dismiss the balance of nature as a state of affairs that prevailed in an earlier, simpler world — a state that has now been so thoroughly upset that we might as well forget it. Some find this a convenient assumption, but as a chart for a course of action it is highly dangerous. The balance of nature is not the same today as in Pleistocene times, but it is still there: a complex, precise, and highly integrated system of relationships between living things which cannot safely be ignored any more than the law of gravity can be defied with impunity by a man perched on the edge of a cliff. The balance of nature is not a status quo; it is fluid, ever shifting, in a constant state of adjustment. Man, too, is part of this balance. Sometimes the balance is in his favor; sometimes — and all too often through his own activities — it is shifted to his disadvantage” (246). “The trouble is that we are seldom aware of the protection afforded by natural enemies until it fails. Most of us walk unseeing through the world, unaware alike of its beauties, its wonders, and the strange and sometimes terrible intensity of the lives that are being lived about us. So it is that the activities of the insect predators and parasites are known to few. Perhaps we may have noticed an oddly shaped insect of ferocious mien on a bush in the garden and been dimly aware that the praying mantis lives at the expense of other insects. But we see with understanding eye only if we have walked in the garden at night and here and there with a flashlight have glimpsed the mantis stealthily creeping upon her prey. Then we sense something of the drama of the hunter and the hunted. Then we begin to feel something of that relentlessly pressing force by which nature controls her own” (249). “This situation also explains the otherwise mystifying fact that certain outstanding entomologists are among the leading advocates of chemical control. Inquiry into the background of some of these men reveals that their entire research program is supported by the chemical industry. Their professional prestige, sometimes their very jobs depend on the perpetuation of chemical methods. Can we then expect them to bite the hand that literally feeds them? But knowing their bias, how much credence can we give to their protests that insecticides are harmless? Amid the general acclaim for chemicals as the principal method of insect control, minority reports have occasionally been filed by those few entomologists who have not lost sight of the fact that they are neither chemists nor engineers, but biologists” (259). 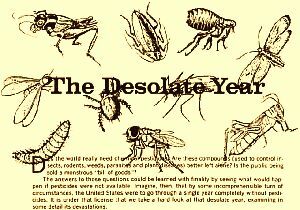 The Department of Agriculture’s Yearbook for 1952, devoted entirely to insects, recognizes the fact that insects become resistant but says, “More applications or greater quantities of the insecticides are needed then for adequate control.” The Department does not say what will happen when the only chemicals left untried are those that render the earth not only insectless but lifeless. 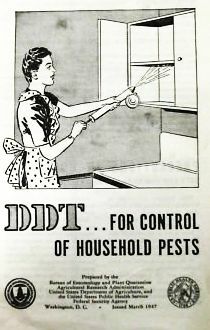 But in 1959, only seven years after this advice was given, a Connecticut entomologist was quoted in the Journal of Agricultural and Food Chemistry to the effect that on at least one or two insect pests the last available new material was then being used. We need a more high-minded orientation and a deeper insight, which I miss in many researchers. Life is a miracle beyond our comprehension, and we should reverence it even where we have to struggle against it…. The resort to weapons such as insecticides to control it is a proof of insufficient knowledge and of an incapacity so to guide the processes of nature that brute force becomes unnecessary. Humbleness is in order; there is no excuse for scientific conceit here” (275). “We stand now where two roads diverge. But unlike the roads in Robert Frost’s familiar poem, they are not equally fair. The road we have long been traveling is deceptively easy, a smooth superhighway on which we progress with great speed, but at its end lies disaster. The other fork of the road — the one “less traveled by” — offers our last, our only chance to reach a destination that assures the preservation of our earth. “Through all these new, imaginative, and creative approaches to the problem of sharing our earth with other creatures there runs a constant theme, the awareness that we are dealing with life — with living populations and all their pressures and counterpressures, their surges and recessions. Only by taking account of such life forces and by cautiously seeking to guide them into channels favorable to ourselves can we hope to achieve a reasonable accommodation between the insect hordes and ourselves. The current vogue for poisons has failed utterly to take into account these most fundamental considerations. As crude a weapon as the cave man’s club, the chemical barrage has been hurled against the fabric of life — a fabric on the one hand delicate and destructible, on the other miraculously tough and resilient, and capable of striking back in unexpected ways. These extraordinary capacities of life have been ignored by the practitioners of chemical control who have brought to their task no “high-minded orientation,” no humility before the vast forces with which they tamper. The “control of nature” is a phrase conceived in arrogance, born of the Neanderthal age of biology and philosophy, when it was supposed that nature exists for the convenience of man. The concepts and practices of applied entomology for the most part date from that Stone Age of science. It is our alarming misfortune that so primitive a science has armed itself with the most modern and terrible weapons, and that in turning them against the insects it has also turned them against the earth” (296-97). Agroecology- an ecological approach to agriculture that views agricultural areas as ecosystems and is concerned with the ecological impact of agricultural practices. 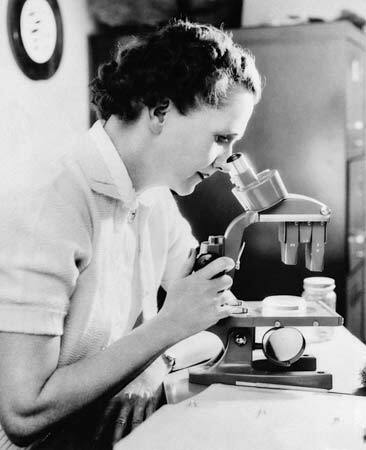 Five years after the publication of Rachel Carson’s evolutionary Silent Spring, the word for a method of change was first used. Now, does this really mean that she was the lady who started it all? Carson spoke with a passion about the environment and described the natural world to people in a way that they had never experienced before. Scientific processes through the lense of a poetic novel, almost. Not long after, the grassroots movement took off like wildfire across the US, and is still in growing favor today. But what is so neat about all of these ideas anyway, since they just seem like a lot of effort and time? There’s a sort of, growing awareness that has been arising in the general masses as the uses of pesticides, and their implications have begun to start to really show. More and more people have become increasingly more concerned with the future, and how their potential grandchildren, great-grandchildren, and any animal would live on a planet whose current method of food production would leave the world high and dry within the next fifty years. It’s almost unfair to Carson to give her all the credit for this way of thinking, however she most definitely deserves a lot of praise for bringing it to the general’s attention. This awareness has been around since the 60’s, but I feel with the internet and television, has really taken off in the last ten years. It’s easy being green, and everyone has their own blog or vlog on how they’ve gone green. Before, it was mainly scientists and writers following the small farmer movement, but now even twenty year old journalism students in the city are able to live zero waste and eat sustainably. 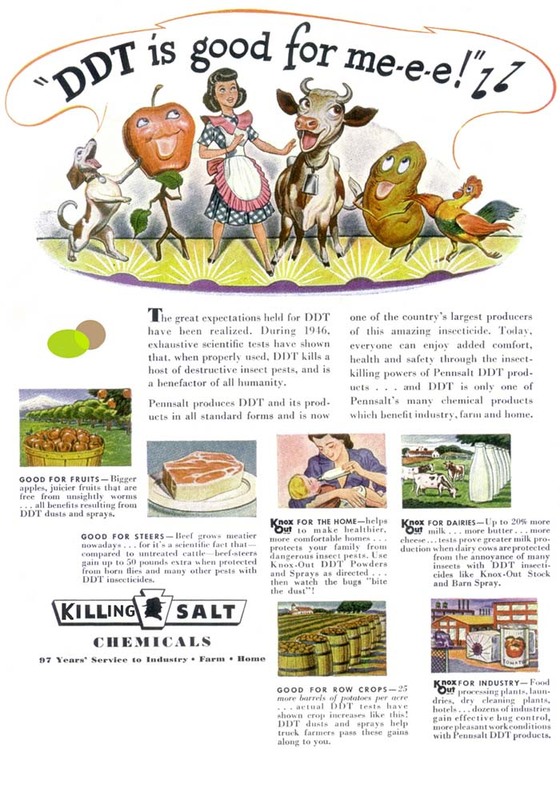 Without Carson, DDT would still be killing birds, small animals, and potentially humans today. However, in Europe, these kinds of pesticides and this method of farming was never nearly as popular. There are endless comparisons we could make on how America is just the less-safe and practical version of Europe. But if there is one convention of European society I wished the Puritans, and all future Americans as a whole, would have kept, was their dedication to providing reliably healthy and fresh food to the citizens. It’s time to bring produce markets and small boulangeries to America, normalizing locality of food. That’s what agroecology is, the process of looking at an agricultural field as it’s own community, a tiny little ecosystem in its own. This model of production is super efficient, as it takes into account all of the species within an environment, including pests and weeds. Agroecology uses pests to the benefit of the intercropped system, using potential other pests, or plants that guard them off or eat them to better the environment. The cross pollination of multiple species within the same area often also helps increase productivity and biomass outputs, if the species are so compatible. Take into account a coffee banana system (not really an intercrop we could do in New England, but just as an example). Coffee trees don’t mind shade, and tend to have more of a shallow root system. Banana trees are a bit taller, and they often shed excess biomass onto the ground around them, protecting and adding mulch to the root systems below. This system is pesticide free, but requires a bit of upkeep. In agroecosystems, it’s imperative to look at every plant, weed, and bug as a member of the society, so in this system, the weeds are a bit important. It’s almost as important in this system to constantly be pruning the banana tree roots. If not, the two trees would compete for water and that could cause issues. However, overall, the intercropping of the two helps to utilize the ground space to its full potential, as well as increasing the productivity of both plants (in systems where there are two coffee trees to one banana tree). This entire system is just one of thousands that refuses to use pesticides, or many other conventional and well known farming methods. So… Is all of this change in the world due to Rachel Carson? Well, in modern senses, absolutely so. Native Americans, and small farmers all over the world have been using these systems for agriculture long before Carson even came to be born. However, her thorough and descriptive ways of explaining what this kind of damage means for us as humanity changed minds and has been doing so since 1962. In the last fifty years, large efforts have been made to change the way the US looks at food. However, there’s still much to be done. There are still mass ranches where cattle, chicken, and pigs are being fed hormonal fillers when they aren’t being fed genetically modified corn. There are still mass crops of your favorite fruits and veggies being bathed in pesticides so they are pretty enough to be sold in your “local” supercenter. There are still so many things to be fixed, but that’s okay- because in the last fifty years, a lot has been done to help create a more sustainable future. Hopefully through our actions and literature, we as the future can help impact and change the system further, for it is my dream to shop at a purely local establishment someday as the norm for all shopping necessities. So, thank you Rachel Carson, for awakening the younger generations of the world so we can return to how humanity should be. “Agroecology.” Merriam-Webster.com, Merriam-Webster, www.merriam-webster.com/dictionary/agroecology. Accessed 2017. Silent Spring has inspired an increasing number of popular songs as time goes on. Some songs have a harder rock edge. Scottish rock band Primal Scream’s first album, Sonic Flower Groove of 1987, featured “Silent Spring,” which complained that we were standing by while Mother Earth died. Experimental rock band Pere Ubu’s 1998 album Pennsylvania featured “Silent Spring” and the heavy metal band Probot released a bitter “Silent Spring” on its 2004 album. Several tributes have been non-vocal instrumental pieces. Tony O’Connor mixed music and sounds of the rainforest for his “Silent Spring” on his 1991 album Rainforest Magic. The Eagles’ Glenn Frey released an instrumental “Silent Spring” on Strange Weather in 1992 and the British rock group Yes recorded “Silent Spring” on their 1994 album Talk. Recently politically minded songwriters have honored Carson and her book. In 2004, Emma’s Revolution, a politically radical duo singing protest songs in the tradition of Pete Seeger, released One × 1,000,000 = Change, with “Silent Spring,” in homage to Carson. Blackbird Raum, a green anarchist band from Santa Cruz, California, has also written and performed “Silent Spring.” Bolivian popular rock singer Grillo Villegas sings “Primavera Silenciosa,” mourning ecological destruction and demanding, “La primavera silenciosa / debe volver a cantar” (the silent spring / must sing again). The song appeared on the 2006 compilation album Contigo Avanzar. Jazz musicians have frequently honored Silent Spring. On her 1963 issue-oriented album Here’s Lena—Now!, jazz great Lena Horne sang, “Not a leaf is heard to murmur / Not a bird is heard to sing,” in “Silent Spring,” written for her by E. Y. Harburg and Harold Arlen. Jazz singer Carmen McRae recorded Allan Paul Shatkin’s angrier “Silent Spring” in 1971. In 1999, Belgian composer Nathalie Loriers’s jazz trio released an album entitledSilent Spring. Ninety-year-old jazz pianist and environmentalist Marian McPartland performed her composition A Portrait of Rachel Carson in 2007 with the University of South Carolina Symphony Orchestra under Donald Portnoy. Silent Spring has also inspired classical music. In 1976, English composer James Brown wrote “Silent Spring” for voice and piano, with words by V. C. Staples. For the 50th anniversary of Silent Spring, the Pittsburgh Symphony Orchestra honored the city’s native daughter by commissioning Pulitzer Prize–winning composer Steven Stucky to write Silent Spring, an orchestral tone poem. Director Manfred Honeck led the symphony at the work’s world premiere on 12 February 2012, and at its New York premiere on 26 February at Lincoln Center’s Avery Fisher Hall. Heavy Metal! Grillo Villegas! Lena Horne! Marian McPartland! The Silent Spring Exhibition is a resource that will help you further consider how writing about nature and culture can catch the cultural winds like a California brush fire in September. There are many good reasons to be suspicious of beginnings. Consider the narrative of the environmental movement in the United States that begins with the transformative cultural presence of Rachel Carson and her most widely-read book Silent Spring. Here is former Vice President Albert Gore, in his “Introduction” to a 1994 edition of the book. “Silent Spring came as a cry in the wilderness, a deeply felt, thoroughly researched, and brilliantly written argument that changed the course of history. Without this book, the environmental movement might have been long delayed or never have developed at all” (xv). The narrative of the environmental movement in the 1960s makes sense with Carson at its origins: as the alarming evidence her book offered—and, its philosophical approach to nature—caught the attention of a wide range of readers, and in turn shaped public opinion, science, political discourse, as well as local, state, and federal policy. (The book sparked one of the most dynamic periods of federal environmental legislation in the history of the United States.) It was translated into over a dozen languages, and in turn shaped environmental concern, discourse, and policy in countries around the world. Silent Spring also offers a convenient starting point for thinking about the development of literary and artistic work during the 1960s and ‘70s. Yet while reading Silent Spring as a catalytic event in our collective environmental conscience makes a semester of study possible, at the same time, there is another reading of Silent Spring that situates it as one of many important responses to the unfolding history of human life and experience in the modern world. Carson’s contributions are one chapter in a series of expressions of environmental concern that emerge in response to industrialization—from the literary and artistic responses to questions of preserving park lands, engaging in resource and wildlife conservation; reflecting on the existential and spiritual presence of plants and animals in human life; and engaging with inescapable environmental questions of social justice and equity—what Ramanchandra Guha calls the first wave of environmentalism. Readers interested in the reception of Silent Spring will find a beautiful resource by historian Mark Stoll, Rachel Carson’s Silent Spring: A Book that Changed the World.” This virtual exhibition presents the global reception and impact of Carson’s book. The site offers insight into the reception of the book in popular culture, music, literature, and the arts. The exhibit begins with an overview and ends with a rich list for further reading. Below are a few selected comments about the book for our thinking in class this week. The reception of Silent Spring is complex, both in the United States and around the world. One of the questions we will pursue is how this particular book uses language to generate a response in readers. Carson explicitly addresses the intersection of scientific and moral questions and we will talk about how this intersection provides a place for us to think together about knowledge, power, privilege, gender, social justice, and democracy in relationship to the social movement of environmentalism. If man were to follow the teachings of Miss Carson, we would return to the Dark Ages, and the insects and diseases and vermin would once again inherit the earth. “…what I interpret as bias and oversimplification may be just what it takes to write a best seller” (From and editorial, qtd. In Diamond, 1963). “Forty years ago, Silent Spring delivered a galvanic jolt to public consciousness and, as a result, infused the environmental movement with new substance and meaning. 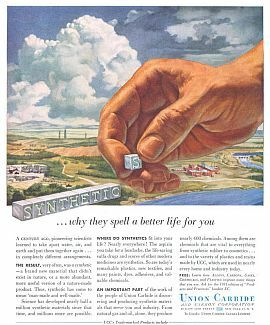 The effects of pesticides and other toxic chemical pollutants on the environment and public health had been well documented before Silent Spring, but in bits and pieces scattered through the technical literature. Environmental scientists were aware of the problem, but by and large they focused only on the narrow sector of their personal expertise. It was Rachel Carson’s achievement to synthesize this knowledge into a single image that everyone, scientists and the general public alike, could easily understand. The need for such a book was great even within the sciences. As the mild-mannered aquatic biologist was researching Silent Spring, ecology was near the bottom of the scientific disciplines in prestige and support; few Americans even knew what the world meant. Conservation biology, later to become one of the most rapidly growing disciplines, did not exist. At the time, the scientific culture was fixated on the spectacular success of the molecular revolution, which had placed physics and chemistry at the foundation of biology. Researchers were learning to reduce living processes to their molecular elements. I, for example, as a young naturalist trained in field biology, was busy collaborating with organic chemists to break the code of pheromones used by ants to organize their colonies.
. . . I want to remember Rachel Carson’s spirit. I want it to be both fierce and compassionate at once. I want to carry a sense of indignation inside to shatter the complacency that has seeped into our society. Call it a sacred rage, a rage that is grounded in the knowledge that all life is intertwined. I want to know the grace of wild things that sustains hope. This quote by environmentalist John Muir is one of my favorite quotes by John Muir. I placed this quote within the heading of my blog because it has such a deep meaning behind the importance of even the smallest things in the universe. John Muir is an environmental fore father to the United States National and State parks; and to land preservation and conservation as well. John Muir found the true beauty in the natural world in one of his favorite places the Sierra Nevada Mountain Range in Western California. Within Muir’s writings one can see his true respect to the land and all of the creatures that lived there. He tells of how many different species that he had observed had complex interconnected relationships with one another, and to the land as well. Muir understood that all the individuals within our environment work together in a complex system that has taken millions of years to fall into balance. It is not a hard concept to grasp that humans have undoubtedly had a negative impact on the natural environment. We take the worlds natural resources and turn them into products to create an easier lifestyle for ourselves. By doing this we have demolished our forests, driven species to extinction, and changed the true form of our planet. Muir had foreseen the grim future for planet Earth long before today. With his love for the planet, and for the Sierra Nevada Muir formed the Sierra Club. Formed in 1892 by Muir and many of his supporters the Sierra Club is an environmental organisation that fights to protect millions of acres of wilderness from decimation, as well as contributing to passing of many of our environmental regulatory acts; such as the clean air act. The Sierra Club was a necessary organisation to form otherwise the natural world today may have had a different look. Muir was an Environmental hero for his unconditional appreciation for the environment and all that reside within it. 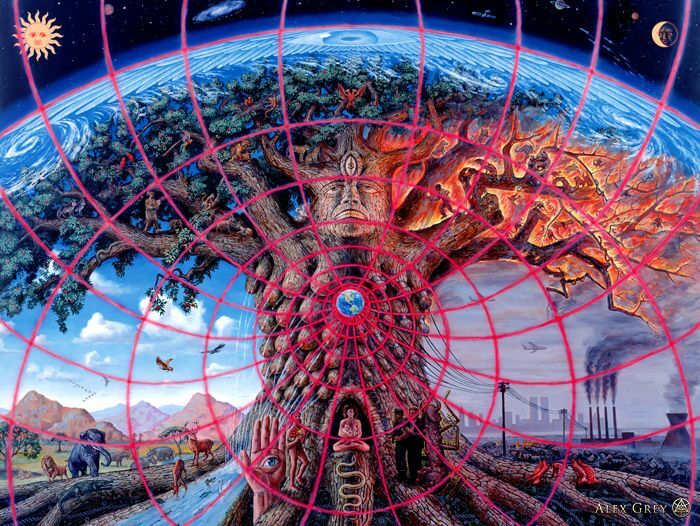 The image found below this short section is the work of visionary artist Alex Grey. This piece is named “Gaia” after the Greek God of Earth. Gaia is more than a Greek God, it is a theory stating that Earth is a single organism made up of many complex systems and individuals that make itself. On the left you can see the world in an human unaltered state; and on the right you see the work of human industrialization and the fiery remains it has left Gaia, our mother Earth. I believe this image does much more than show the work of human development, beside the tree multiple humans can be seen on either side. On the left the human is a part of nature and only takes what he needs to survive; on the right you see men in suits who are part of the corporate world that revolves around money and production. This depiction of Alex Grey’s art is of my own interpretation, but I wish for you the reader to look upon it and interpret it as you will. As an environmental studies major i have studied in depth the complex relationships between different organisms and their non living physical environment. One thing many environmentalists know is how fragile the systems within ecosystems are. Every part in an ecosystem is important and is required to maintain uniform in order to keep equilibrium and stability within the system. An amazing example of how these systems can change is the story of the reintroduction of wolves into Yellowstone National Park. This video is an amazing example of how altering an ecosystem on the level of only single organism can do much much more than just give that one species a home and life. Author Rachel Carson in Silent Spring, also writes about how complex and delicate the systems within our environment are. Her bestselling book, Silent Spring, has done well in contributing historically towards the environmental movement in the last century. Silent Spring speaks of the development of our natural world from a time where life had just begun. Carson writes how over millions of years life on our planet has evolved, and with it the ecosystems created from an individual species have also evolved. As I have stated previously our ecosystems are composed of many different species and nonliving things that shape that ecosystem. The nonliving physical environment and the living species that live there form a complex relationship that is very delicate and has taken millions of years to form. Carson also writes of how humans at an alarmingly fast rate have begun to destroy and alter these systems out of their equilibrium. It’s truly amazing how smart we humans really are. We have done so much in the development of industrialization. We are so smart that have even figured out that we’re collectively destroying our planet. But it seems we’re ignorant to the fact that we don’t care that we’re destroying our world, and with it ourselves. Pioneers in the environmental movement such as John Muir, and author Rachel Carson, have done well in leading the way towards an environmentally friendly, and respectful human race. But in order for these visionaries ideas to become successful, all players in the game of life must play together to work towards a brighter greener future.